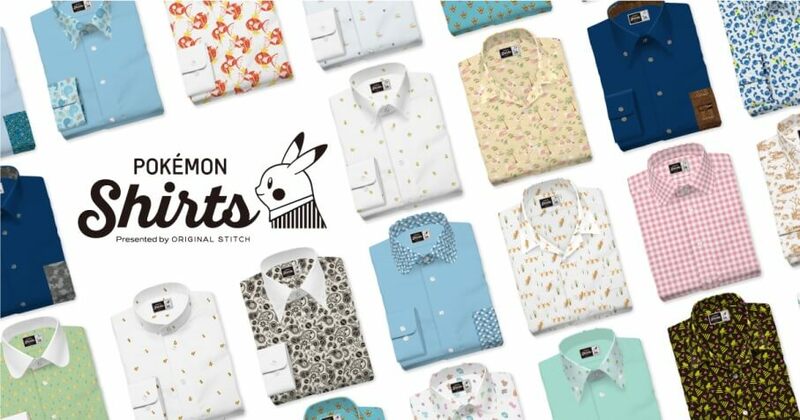 Online custom shirt brand Original Stitch is teaming up with Pokémon to release a line of original Pokémon t-shirts at the end of February. Original Stitch was created by an engineer who works in Silicon Valley that wanted to lessen the amount of steps it takes to purchase clothing. The website allows customers to customise t-shirts in detail to their liking from the sleeves to the collar, buttons, pleats and so on. There are a whopping one billion possible combinations and over 400 high quality materials to choose from with which to make stylish shirts, casual shirts, formal shirts, unique shirts―pretty much any shirt you can think of. It takes at the shortest just 5 minutes to complete orders. Fans of the original Pokémon games can look forward to getting their hands on a printed t-shirt of any of the original 151 Pokémon. Young Pokémon trainers and elders out there who grew up with the franchise can all rally around this new line. Which Pokémon will you choose?